The American Metalcraft 3309 spice shaker has a glass body, providing product visibility. Since there is a slotted top, it is perfect for dispensing red pepper, oregano, and other large spices. 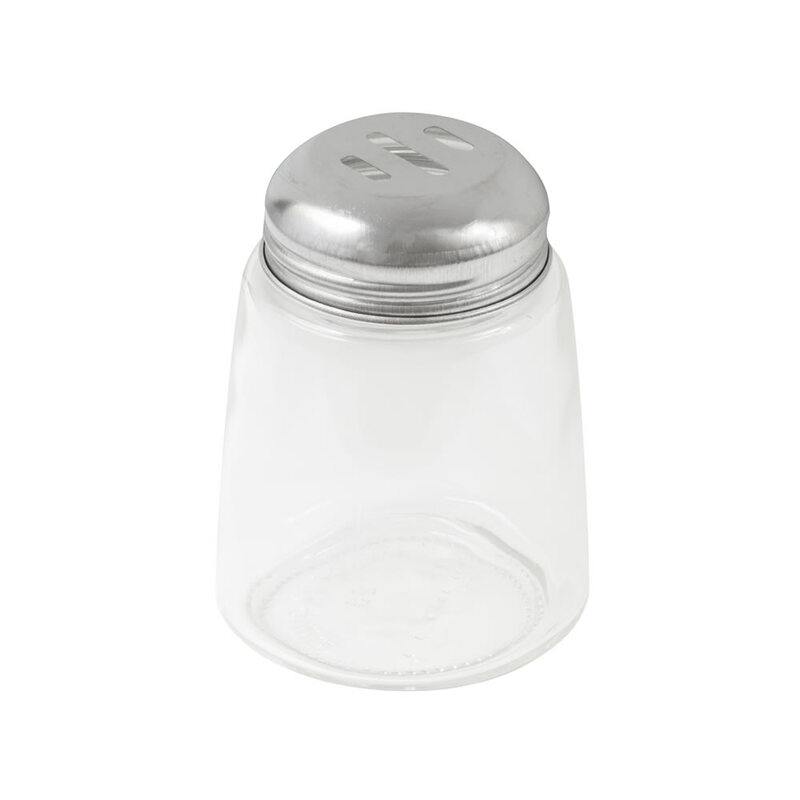 Constructed of stainless steel, the top of the shaker is durable and rust resistant.